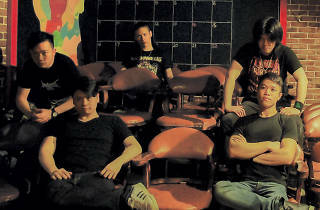 Darkness Pool’s particular brand of thrash metal is guaranteed to blow the roof off The Hang Out. Equipped with a rich musical range and attitude, Darkness Pool have always distinguished themselves through creative experimentation between rock, classic 70s metal and death metal. 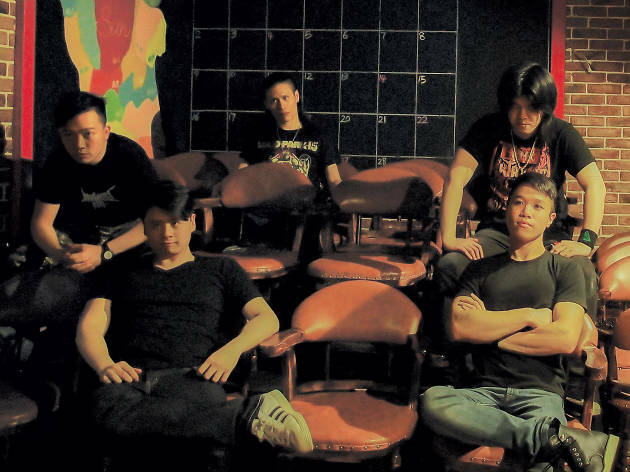 Lead vocalist Yiu never fails to impress with epic, soaring riffs that blow out the sound system. Complex guitar solos and high-register rhythm chords seem effortless for the quintet. Officially formed in 2006, Darkness Pool quickly rose to popularity in mainland China and Hong Kong. In the last 10 years, the band has played numerous gigs and released a studio album. They may have been positioned as thrash metal band, but these virtuosos are looking to explore different musical blends, even if they maintain a dark, deathly aesthetic. If you’re looking for a real banger of a track, Democracy has got to be your pick. Its grating texture and explosive solos are repeat highs. But don’t worry, for fans who need to give their vocal chords a rest, the more melodic Burying Alive will provide some reprieve as it balances out the other shredders bound to be on Darkness Pool’s set list, though it loses no energy in doing so. The thudding rhythms and fast beats are carefully sculpted with a mass of groovy jazz ostinato. Rather than the fantasy monologues typical of many metal songs, Darkness Pool’s lyrics are often first-person stories that reveal human nature and the downbeat mundanity of life. With top-notch musicianship, reflective lyrics, an engaging stage presence and overwhelming energy, Darkness Pool are a versatile and highly distinctive act that one must see.